We will build a hunt to satisfy your needs! 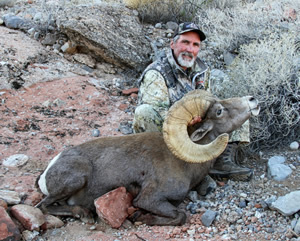 Silver State Guides and Outfitters has been operating in Nevada for over 30 years. 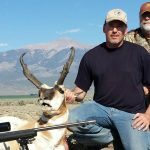 We are licensed to guide all of Nevada’s big game animals. We will build a hunt to satisfy your needs, so prices do vary. Over the years we have been over 98% successful on our hunts. 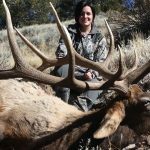 Our guides are experienced and very qualified to help you reach your hunting goals. These tags are some of the hardest to draw in the country. 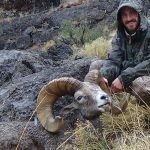 Our Bighorn sheep have great genes and can live in some of the roughest terrains. 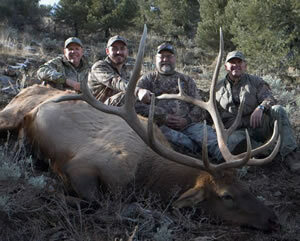 Nevada is home to some of the largest elk in the country, with trophy B&C bulls taken every year. 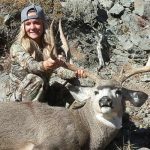 Nevada possesses and has produced trophy bucks through out the years. 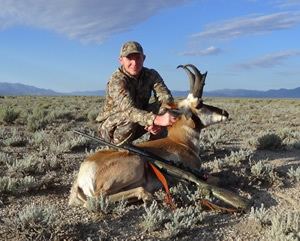 Our antelope season is during the late summer. 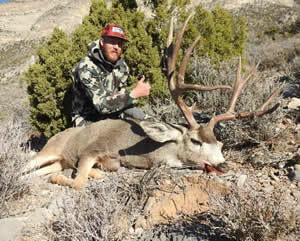 Nevada’s high desert mule deer are in a class of their own. Our state has great habitat and genetics producing trophy bucks every year.